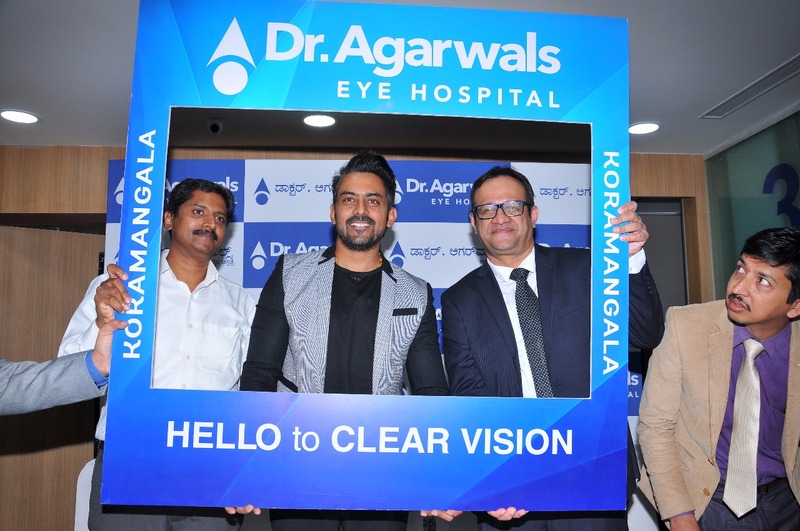 Dr. Agarwal’s Eye Hospital, a renowned eyecare chain with dozens of eye hospitals spread across India and abroad, today launched its new super-specialty eye care center at Koramangala in Bengaluru, taking the number of its facilities in the city to seven. Noted actor Jayaram Karthik inaugurated the new state-of-the-art facility in the presence of senior officials of Dr. Agarwal’s Group of Eye Hospitals, including Kiran Narayan, Vice President, Supply Chain, and Dr. Amod Nayak, Regional Head & Medical Services Director. The aim of the new center is to offer one-stop-solution for all kinds of eye ailments to the people of Bengaluru.